2016 Regan Smith #88 Dale's Pale Ale / Chevrolet Camaro NASCAR diecast, by Action. 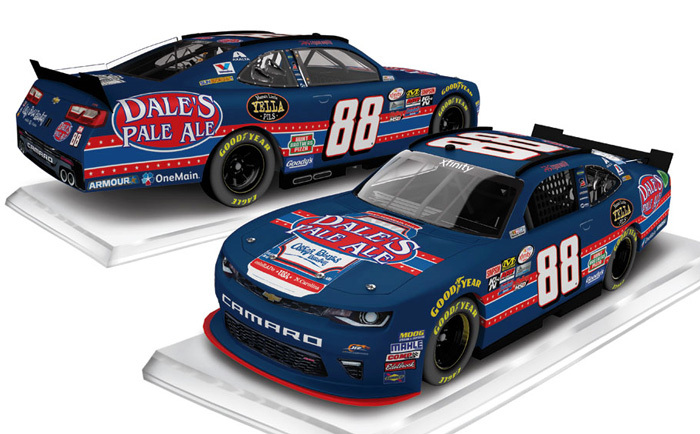 The JR Motorsports #88 Dale's Pale Ale Chevrolet Camaro was raced by Regan Smith in the NASCAR xfinity Series, Food City 300 at Bristol Motor Speedway on August 19, 2016. This diecast car will be displayed on a clear base. 2015 Regan Smith #7 TaxSlayer / Chevrolet Camaro NASCAR diecast, by Action. The JR Motorsports #7 TaxSlayer Chevrolet Camaro was raced by Regan Smith during the 2015 NASCAR xfinity Series season. 2015 Regan Smith #7 Anderson's Maple Syrup / Chevrolet Camaro NASCAR diecast, by Action. 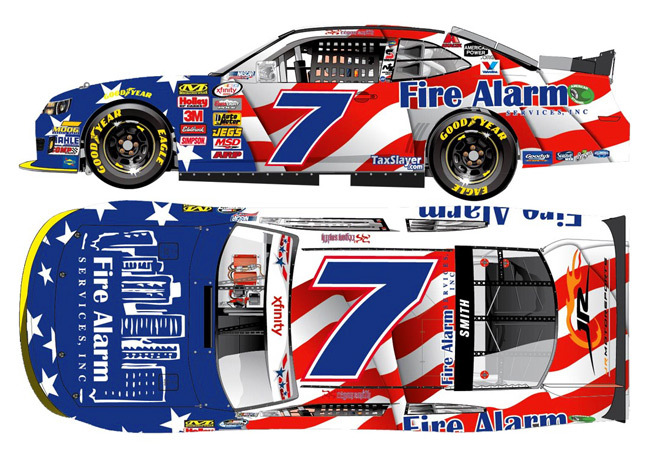 The JR Motorsports #7 Anderson's Maple Syrup Chevrolet Camaro was raced by Regan Smith in the NASCAR xfinity Series, Hisense 300 at Charlotte Motor Speedway on May 23, 2015. 2014 Regan Smith #7 Ragu / Chevrolet Camaro NASCAR diecast, by Action. The JR Motorsports #7 Ragu Chevrolet Camaro was raced to victory by Regan Smith in the NASCAR Nationwide Series, DRIVE4COPD 300 at Daytona International Speedway on February 22, 2014. 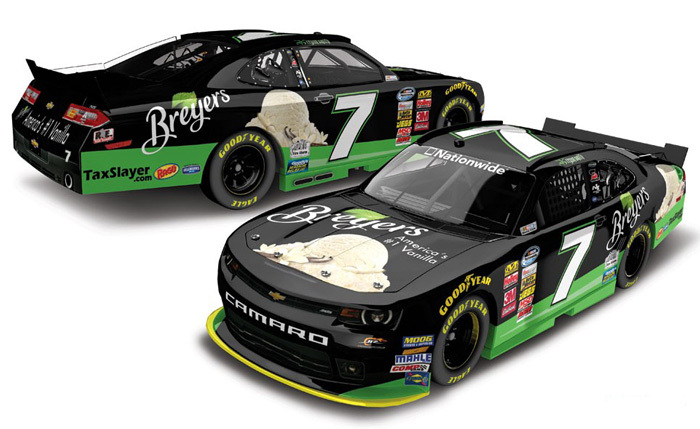 2014 Regan Smith #7 Breyers / Chevrolet Camaro NASCAR diecast, by Action. 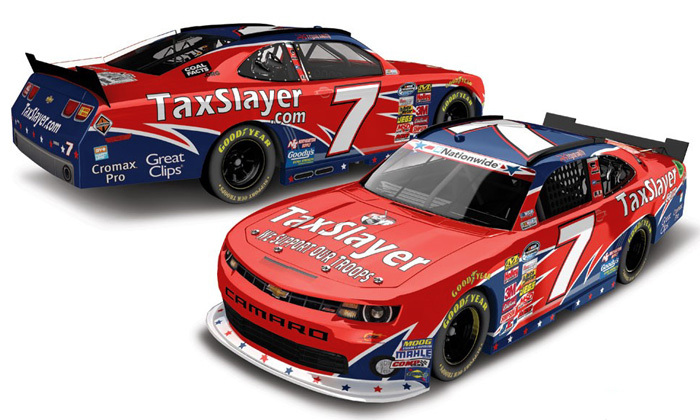 The JR Motorsports #7 Breyers Chevrolet Camaro was raced by Regan Smith in select events during the 2014 NASCAR Nationwide Series season. 2014 Regan Smith #7 NAPA Synthetic Oil / Chevrolet Camaro NASCAR diecast, by Action. The JR Motorsports #7 NAPA Synthetic Oil Chevrolet Camaro was raced by Regan Smith in the NASCAR Nationwide Series, Boyd Gaming 300 at Las Vegas Motor Speedway on March 8, 2014. 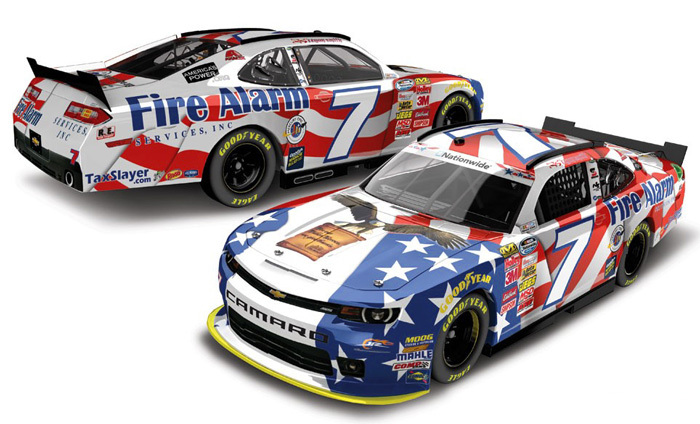 2014 Regan Smith #7 Fire Alarm Services / NASCAR: An American Salute / Chevrolet Camaro NASCAR diecast, by Action. 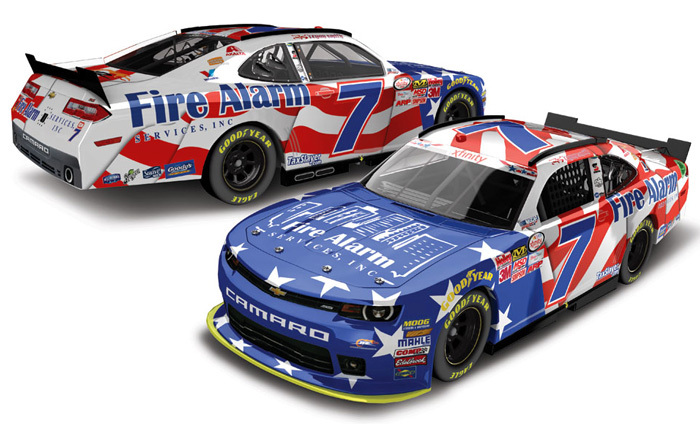 The JR Motorsports #7 NASCAR: An American Salute Chevrolet Camaro was raced by Regan Smith in the NASCAR Nationwide Series, History 300 at Charlotte Motor Speedway on May 24, 2014. 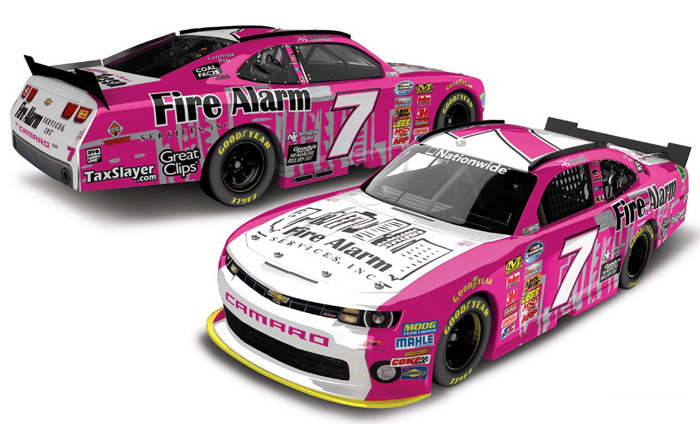 2014 Regan Smith #7 Fire Alarm Services / Chevrolet Camaro NASCAR diecast, by Action. The JR Motorsports #7 Fire Alarm Services Chevrolet Camaro will be raced by Regan Smith in the NASCAR Nationwide Series, Phoenix 200 at Phoenix International Raceway on November 8, 2014. 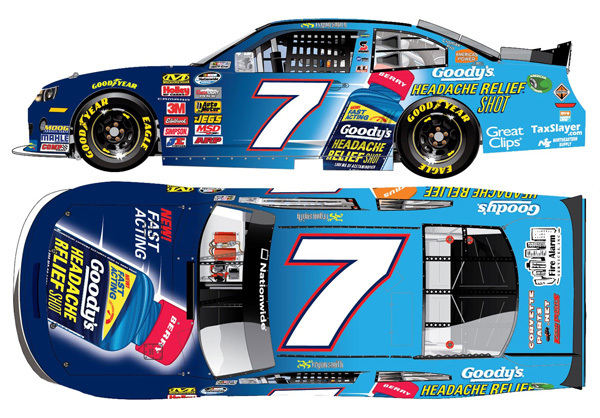 2013 Regan Smith #7 Goody's / Chevrolet Camaro NASCAR diecast, by Action. The JR Motorsports #7 Goody's Chevrolet Camaro was raced by Regan Smith in the NASCAR Nationwide Series, Dollar General 300 at Charlotte Motor Speedway on October 11, 2013. 2013 Regan Smith #7 Children's Hospital / Chevrolet Camaro NASCAR diecast, by Action. 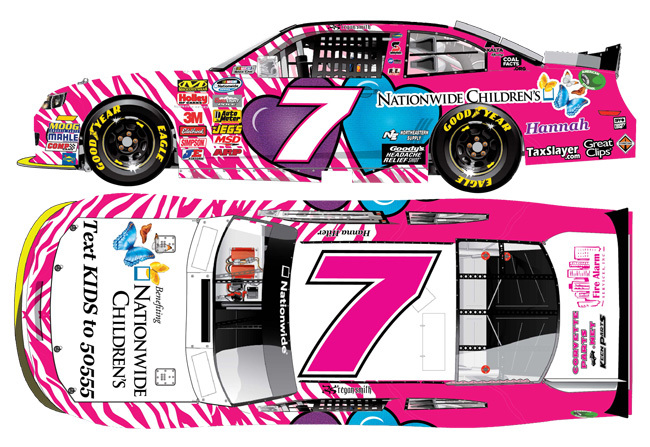 The JR Motorsports #7 Children's Hospital Chevrolet Camaro was raced by Regan Smith in the NASCAR Nationwide Series, Children's Hospital 200 at Mid-Ohio Sports Car Course on August 17, 2013. 2013 Regan Smith #7 Lionel Racing Golden Ticket / Chevrolet Camaro NASCAR diecast, by Action. The JR Motorsports #7 Lionel Racing Golden Ticket Chevrolet Camaro was raced by Regan Smith in the NASCAR Nationwide Series, O'Reilly Auto Parts Challenge at Texas Motor Speedway on November 2, 2013.